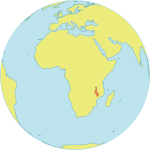 Mangochi, Malawi – In 2010, when Sophie was just 13 years old, her elder sister suddenly and tragically died. Sophie’s world was shattered: She was forced to drop out of school and return home to care for her six younger siblings. But a local youth programme helped her get her life back on track – and become a role model for her entire community. When Sophie’s sister fell ill, the whole family was thrown into upheaval. Her parents, living in the village of Namwera in Mangochi District, were too sick and frail to provide for their youngest children, and Sophie’s brother-in-law abandoned the family shortly before his wife died. Sophie, who had been living with her sister, moved back to Namwera and assumed responsibility for her siblings. “My parents are [too] poor to send me to school,” Sophie said. Still, she remained determined to learn. Shortly after she returned to Namwera, Sophie heard about Safeguard Young People, a youth programme run by the health ministry, with support from UNFPA. The programme promotes youth leadership and the protection of young people’s human rights. It also provides comprehensive sexuality education and access to sexual and reproductive health services, as well as training and recreation activities. Every Thursday, Sophie walks 11 kilometres to the Namwera Health Centre to participate in the programme’s activities and education sessions. The trek is long, but it’s worthwhile, she says. “I walk such a long distance to attend youth-friendly services organized by Safeguard Young People in order to widen my chances for a brighter future,” she told UNFPA. A huge proportion of Malawi’s population is young. According to the 2008 population and housing census, people aged 10 to 29 years old accounted for more than 38 per cent of the population. Yet too many of Malawi’s young people are grappling with poverty. The country ranked near the bottom of the 2014 Human Development Index. Girls and young women are particularly vulnerable. The country’s adolescent birth rate is 157 out of 1,000, much higher than the global rate of 50 out of 1,000. 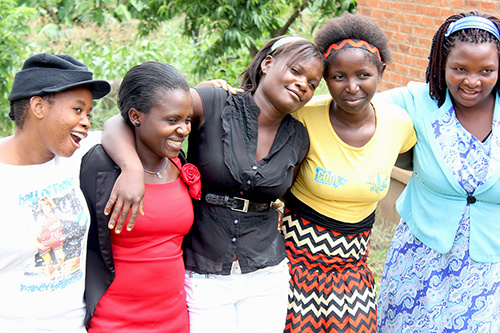 Adolescent pregnancies reflect poor access to education, reproductive health care, information and opportunities. Women are also disproportionately affected by the HIV epidemic. According to Malawi’s 2010 Demographic and Health Survey, the HIV prevalence among adult men was 8 per cent, while among adult women it was 13 per cent. 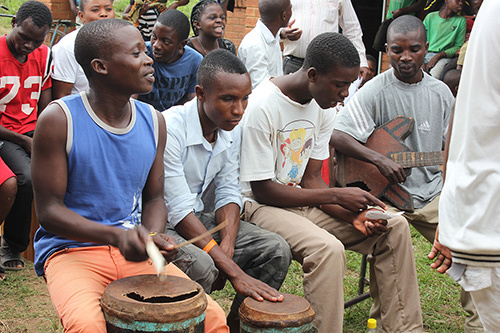 The Safeguard Young People programme works to improve prospects for adolescents and young adults throughout Malawi. Currently running in the districts of Chiradzulu, Chikwawa, Dedza, Mangochi, Mchinji and Nkhata Bay, the programme reaches out to vulnerable young people between ages 10 and 24. In addition to leadership training and sexuality education, the programme provides testing and treatment for sexually transmitted infections, and it provides family planning counselling and distributes condoms. 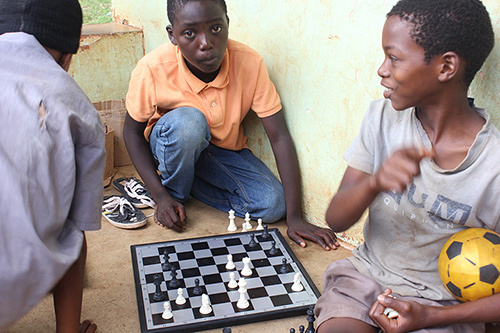 Members of the programme also have access to recreational activities, including sports and board games, as well as income-generating activities and small-scale farming. Sophie was inspired to become a youth leader in her community. She trained to become a peer educator, and has also become an activist, encouraging people to end child marriage and other harmful practices. In 2012, two years after she moved back home to care for her family, Sophie was elected in to the Youth Parliament in Masongola Constituency. The experience was rewarding. “I plan to run for Youth Parliamentary office again,” she said. She also secured a scholarship, and has returned to school and passed her junior certificate exams. Today, she encourages other young people to stay in school and dream big. And she is following her own advice.